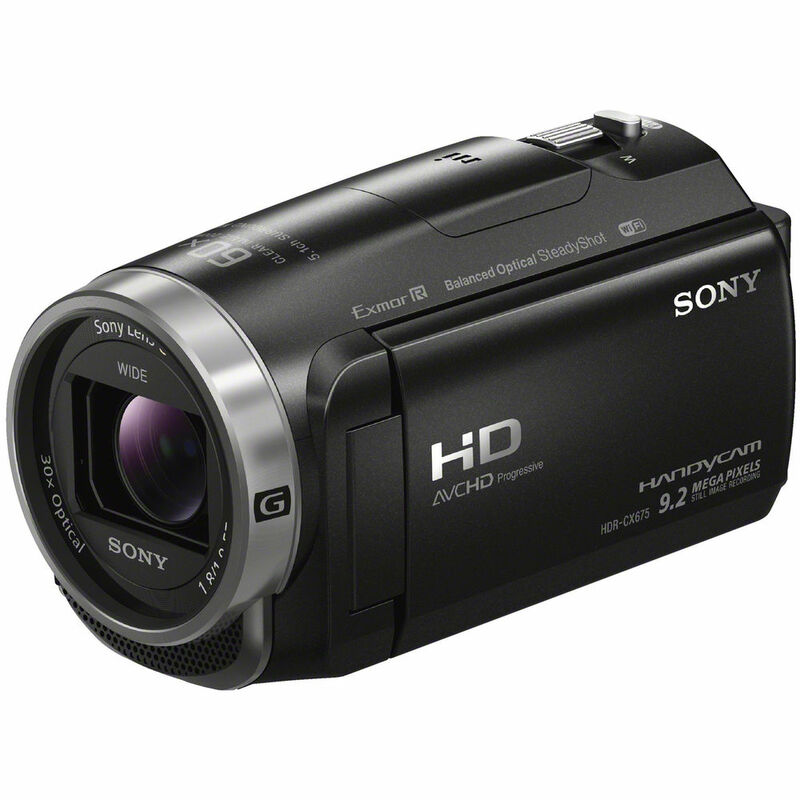 The Sony HDR-CX675 Full HD Handycam Camcorder features a wide-angle Sony G 30x optical zoom lens and Balanced Optical SteadyShot image stabilization with 5-Axis Intelligent Active mode to help you capture smooth and stable footage throughout the zoom range, even while on the move. Intuitive, grab-and-go operation is further benefited thanks to a Fast Intelligent AF system that works to help keep your subjects in sharp focus. The camcorder's Exmor R CMOS sensor and Bionz X processor combine to support 1080p video up to 60 fps and still images up to 9.2MP, with files recorded to either microSD memory cards or the internal 32GB of flash memory. Advanced features include a 5.1 channel built-in zoom microphone, interval photo capture for creating time-lapse videos, and Wi-Fi/NFC connectivity for wireless control and file sharing. Rental Includes: Charger, Micro SD memory card, battery.